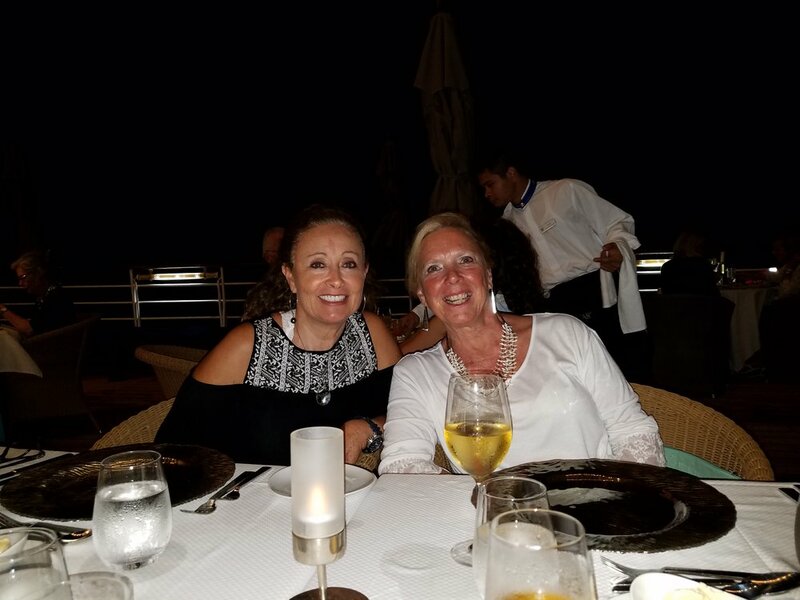 We had an amazing experience on our second Windstar Cruise. 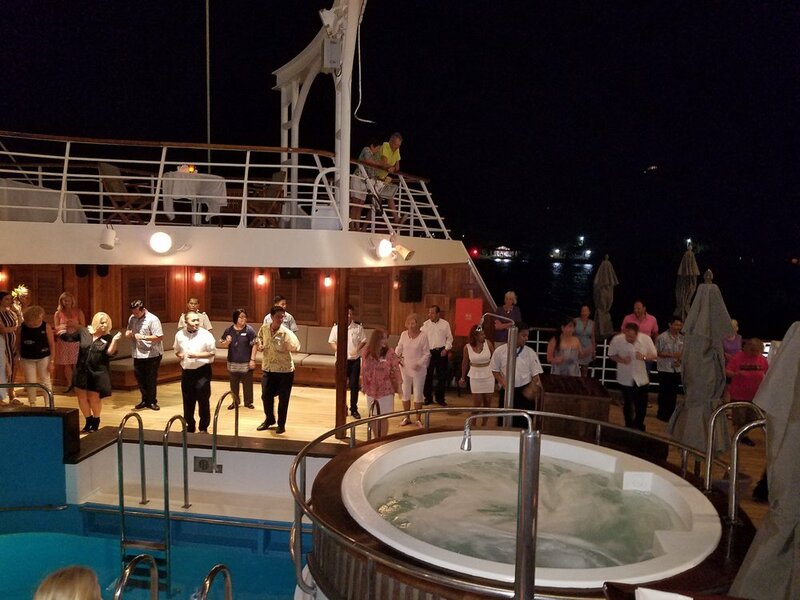 We had first cruised with Windstar Cruises in January 2016 for our 25th Anniversary. 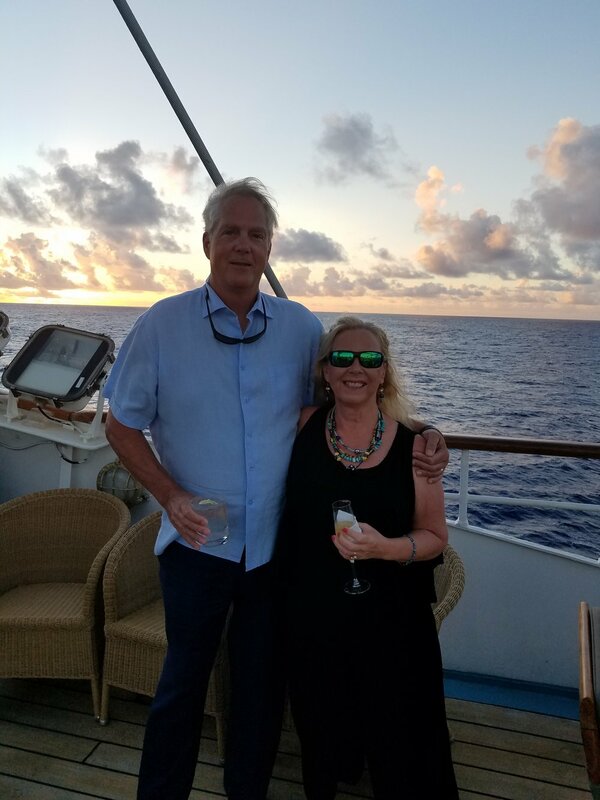 We were on the Wind Star and cruised from Barbados to St Lucia, Grenada and the Grenadines. We loved the ship so much that we decided to sail on her sister ship the Wind Spirit in French Polynesia. 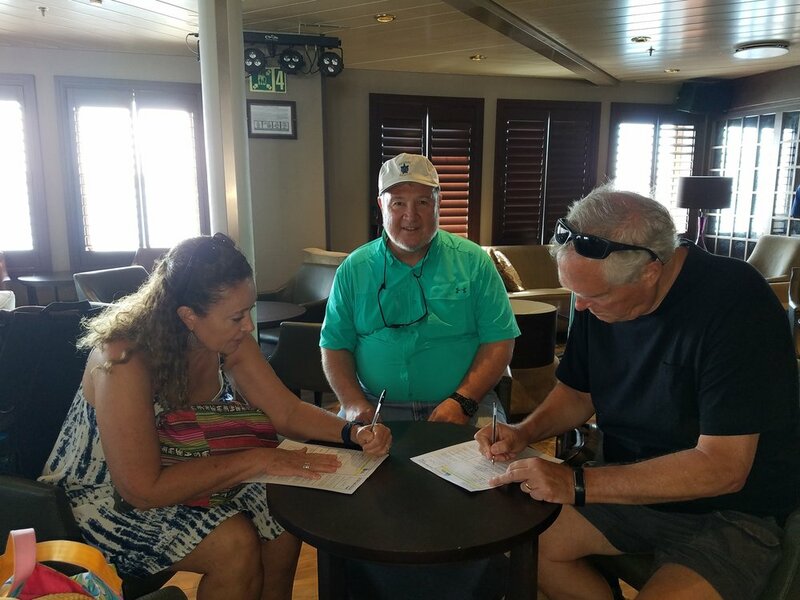 We had friends who were doing a live-aboard diving trip so we coordinated schedules allowing us all to sail together. We started our trip at Le Meridien on Tahiti, where we spent 4 days relaxing, acclimating and touring around. 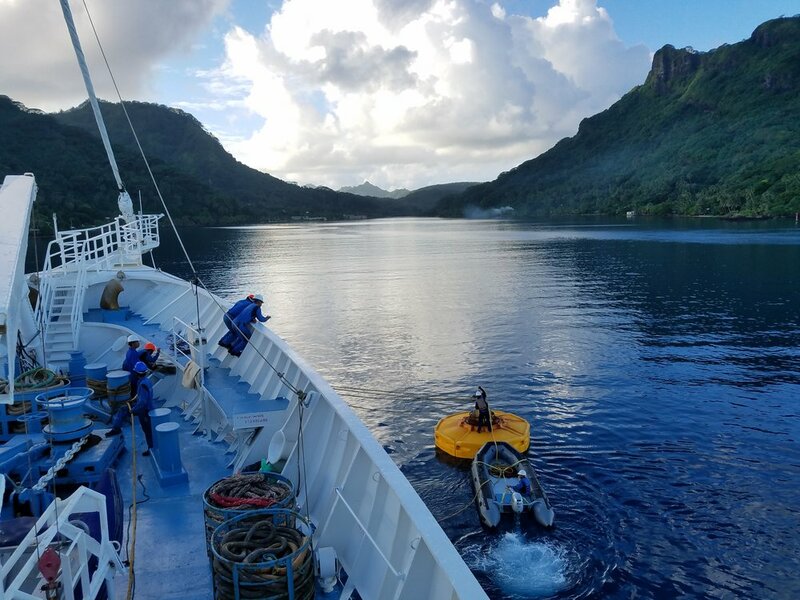 The Wind Spirit had just arrived back to Tahiti from dry dock in New Zealand, where it got a major face-lift. It was fun to see her docked days before. We drove by her several times, and on one evening we walked by her and got even more excited. She was beautiful by day but magnificent at night. We had decided to make our own transfer arrangements so we were not on the bus which took most of the passengers from our hotel to the ship. That allowed us to get there early and we were literally the first ones on board the ship. The workers were walking off as we prepared to board. A few details were still being finished and the spa was not open for arrival or our first day at sea. That said, she looked great, and we felt right at home. Mike and I had the same cabin, 133 that we had on the Wind Star. 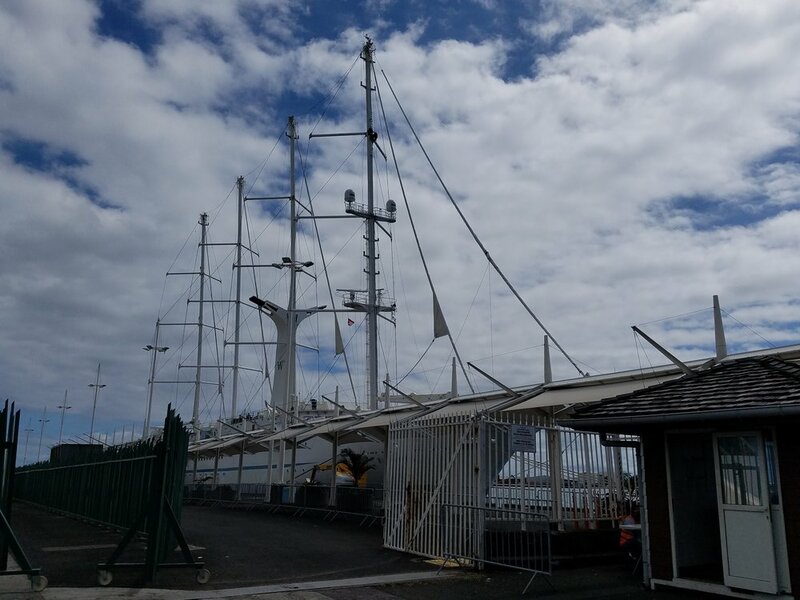 What sets Windstar Cruises apart from any other vacation is two things, in my mind: one is that they go into small places that large ships can’t go. (Let’s put that into perspective – David Geffen’s yacht which took the Obamas, Oprah, Tom Hanks and the Boss to all the same places we went. His yacht, that sleeps 16 guests and crew, is as large as our ship.) The other thing is Windstar’s stellar crew! Windstar hires the cream of the crop and trains them very well. There are almost as many crew members as there are guests - and on our cruise they were down 6 crew members but service never suffered. It isn’t easy to replace someone when you are in the middle of the Pacific. Some crew had to do double duty and they did it with such grace. By day 2 everyone knows your name and are starting to get a real feel for your likes and dislikes. The crew works hard but they all seem like they are having a really great time. You never hear anyone complain and they all talk about how it’s a family and how well treated they are by the company – it shows in how they conduct themselves and how they treat their guests. I do love the fact that the smaller sailing ships also leave a smaller carbon footprint. Windstar takes additional measures to help protect the environment. If you take a tour of the kitchen you will learn how they even take this into consideration with their meal planning. There is very little waste. Towels are cleaned when you leave them on the floor and water is available in large glass containers in your room to reduce the number of plastic bottles. These are just a few steps we found that they did to be more eco-friendly. 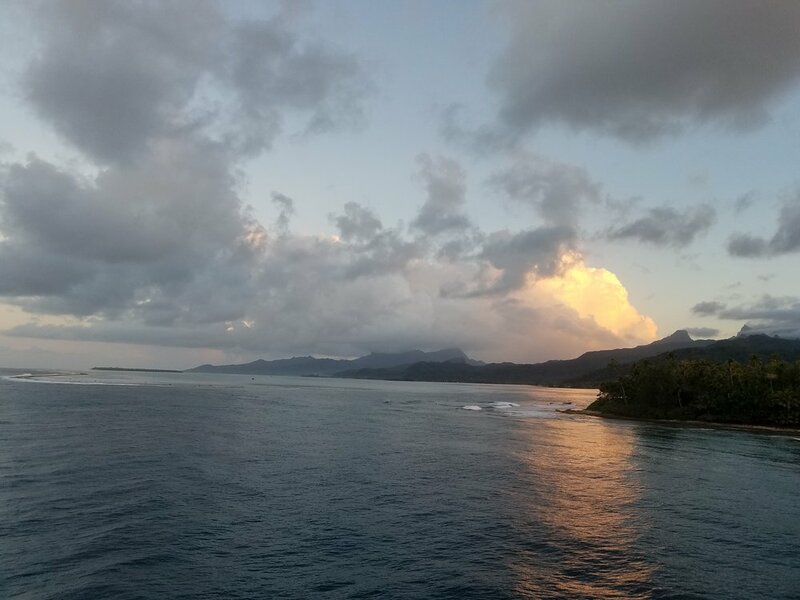 We chose the 11 day cruise and saw as much of French Polynesia as could be squeezed into those days. Day one - as we boarded we were handed a welcome drink and guided into the lounge where we filled out a few forms, turned over our passports and got our room key. The room key is also used to check you on and off the ship so they know that everyone is back on board at each port. By the time we made our spa appointments and headed to our rooms, our luggage was there waiting for us. The efficiency is amazing. It was a relaxing day with nothing we had to do besides the mandatory Safety Drill. It is always fun to see everyone in their life jackets. We ate, drank and unpacked. Each time Windstar leaves a port they have their signature Sail Away and it is magnificent. The first always gives everyone chills. As you leave the sails are brought out and the music from 1492: Conquest of Paradise Vangelis https://www.youtube.com/watch?v=94dY-QxjDiE is played. I’ll go into more detail about the trip in articles about the places we went and things we did. 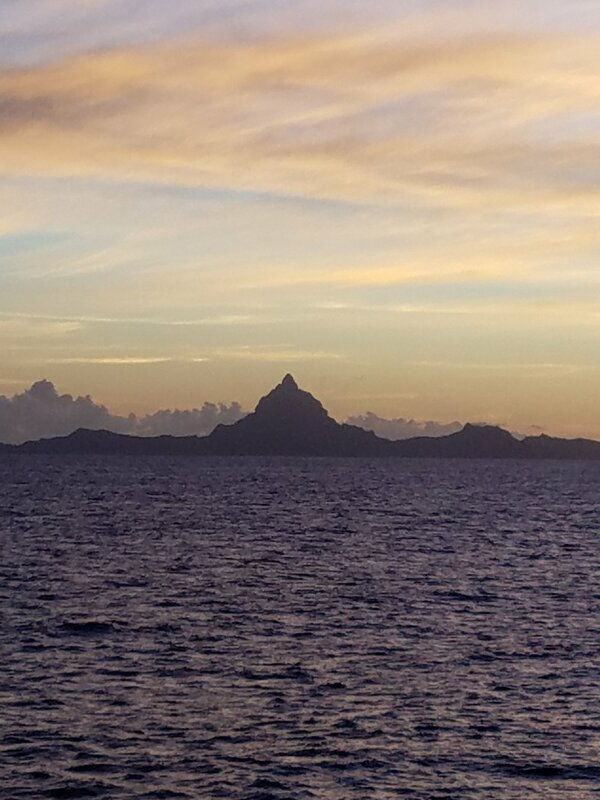 Our itinerary was Sunday board Tahiti with a 6PM departure and Sail Away. Each evening, in the lounge, they have a briefing and go over the options for the next day and give you some general information about where you will be. Day two was spent at Sea. There were plenty of options of things to do or you could choose to do nothing. We chose the Galley Tour and The Guest Lecture. Day 3 we were docked at Fakarava, in the Tuamotu Islands, which are gorgeous atolls. Day 4 we were still in the Tuamotu Islands, at Rangiroa. 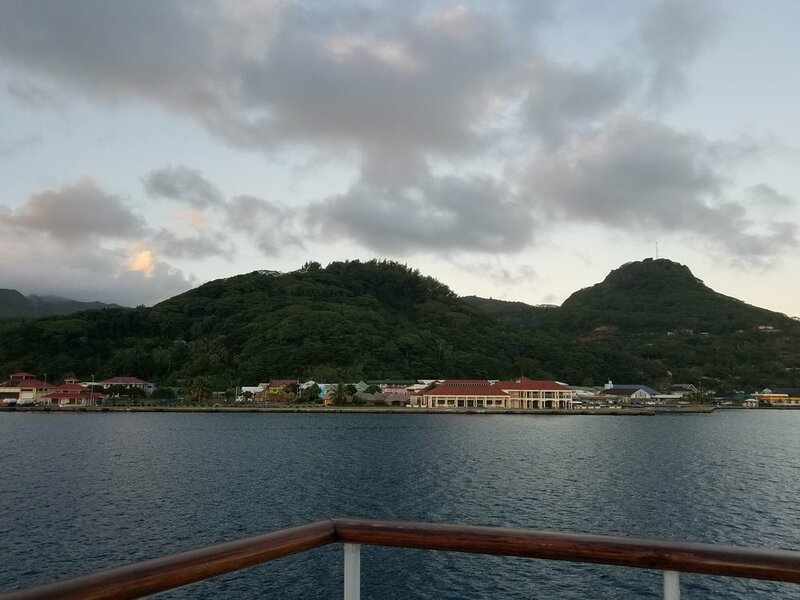 Day 5 was at sea, setting our course for the Society Islands, and we entertained ourselves with another of the Guest Lectures, a cooking class and the Captain’s Cocktail Party. Day 6 we were at Motu Mahaea, Taha’a. Day 7 Huahine. Day 8 Raiatea. 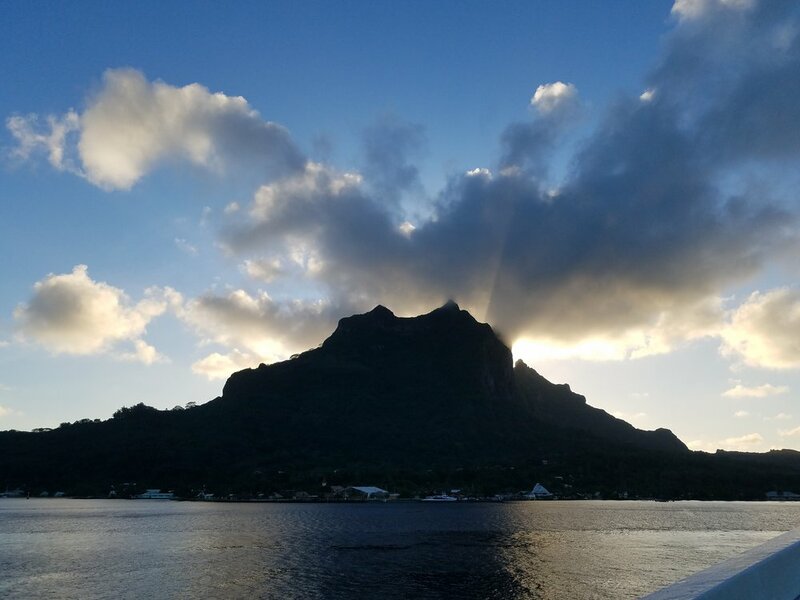 Day 9 and 10 were spent at Bora Bora, Day 11 Moorea and Day 12 we found ourselves back in Tahiti. It was the great trip, each island has its own character and beauty. It was a perfect mix of relaxation, pampering, sightseeing and water sports. The food was amazing but, as I mentioned, the crew was what made it perfect!